It’s the beginning of the school year – and so it’s the best time to think about the end. As you get to know the new faces in your classrooms, consider this essential question – what should a student be able to do in May or June that the student can’t do in August or September? what do you want them to be able to do by the time the course is over? The idea of “planning backwards” has been around for quite a while and can be stated simply – we figure out where we want to be at the end, and then design the classroom experience to work towards that end. Often, curricular goals are still listed as a set of topics to cover. Instead, by thinking about what a student should be able to do by the time the course is over, you can recast the course as a journey towards some ending achievement. The portfolio can represent the steps that students are taking towards that end. For courses that already focus on performances, such as music or programming or physical education, it’s easy to envision an endpoint: students will perform in the concert or complete the code for the robot or improve their exercise routine. In other courses where content coverage has long ruled, the performances can still be found: maybe you can picture your students having a conversation in Spanish, making connections among historical eras, or completing an investigation. Before we get too caught up in quarterly and yearly grade averages, it can help your students if you can share that vision of what you believe they can do. This helps students to think about the course as more than a set of grades. In this age of personalization, it’s important to include your student’s voices in that planning. As you describe your vision of what you believe they can do, the students can also start to picture themselves doing it as well. Undoubtedly, some students will start to generate their own ideas, and with guidance, as you get to know your students, you can help them associate their own goals with this larger exhibition. So as you start your work on digital badges and portfolios for the year, look to where you want to be at the end – and share what you’re thinking with your class. Happy new school year! We’ll be adding notes to this blog throughout this year, highlighting what schools do as they work on their digital portfolios and badges. We’ll be looking at issues of personalization, assessment, and curriculum. What we know is that every school is different – so we want to focus on the essential questions that you can think about and discuss with your colleagues. If you have a story or a suggestion, please reach out! There are lots of books on education out there. The good ones are helpful and tell you some ideas. The great ones give you some ideas – and help you generate even more. 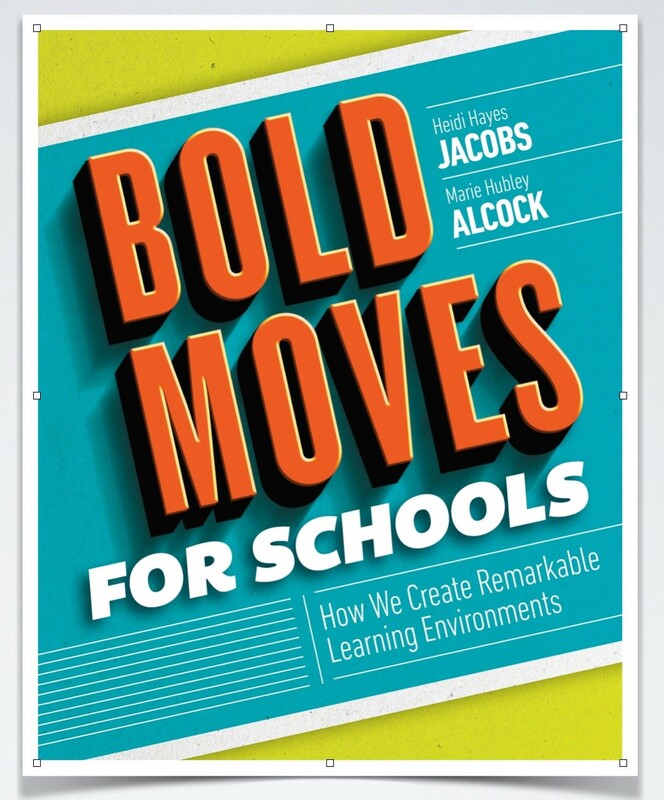 Heidi and Marie’s new book — Bold Moves for Schools: How We Create Remarkable Learning Environments (available from ASCD) — talks about curriculum and assessment and pedagogy and leadership. But more importantly, it talks about all of these things as interrelated. All too often, schools and districts put together initiatives that focus on one area of change. That’s understandable; we don’t want people to feel overwhelmed. The problem is that changes in one part of the system inevitably rub against other elements. When adding advisories, or a different schedule, or introducing a new technology, there are inevitably side effects. 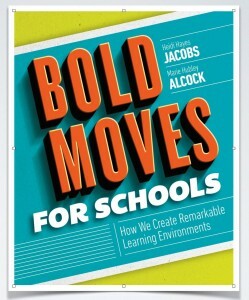 The reason many initiatives disappear is because the school hasn’t connected those initiatives to a larger vision of what we want school to look like. One particularly nice description in Heidi and Marie’s book is in thinking about a school’s current practices. Are they contemporary? Or classical? Or antiquated? This framework provides a new, and useful, way of distinguishing among the activities at the school. I’m pleased that they discuss our work on digital portfolios in the chapter on “Contemporary Assessment Systems.” Richer Picture, when used well, can support innovative approaches to assessment – and because things are interrelated, will naturallly support your innovations in curriculum, personalization and school transformation. Personalization is a trending word in education — but it’s clear that the word means very different things to different folks. 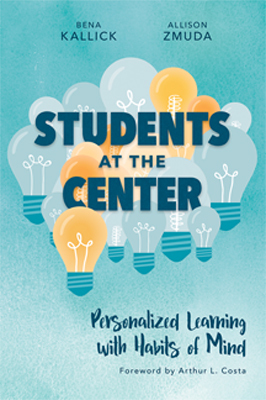 In their terrific new book, “Students At The Center: Personalized Learning with Habits of Mind,” Bena Kallick and Allison Zmuda outline the most important attributes of personalization. As they talk about these attributes (voice, co-creation, social construction and self-discovery), what’s clear is that true personalization requires increased levels of student engagement and teacher feedback. All too often, educational technology products claim to be personalized – but all they really mean is that a student can go through a pre-ordered sequence of lessons at their own pace. If you’re looking to take steps to become more personalized, Bena and Allison provide a terrific framework. It also builds on earlier work on personalization like Joe DiMartino and Denise Wolk’s “The Personalized High School” and Allison’s own Learning Personalized – in both book and blog form. A portfolio should be more than a collection of student work. For a portfolio process to be useful, schools need to have a purpose for putting the work in place. Simply putting student work into an online folder doesn’t do very much. Without a purpose, what you have is a digital scrapbook – a random collection of work that isn’t organized in any meaningful way. Each of these purposes helps students figure out what they need to collect into the portfolio. For a parent conference, maybe we want to see show progress in reading and math – and any special skills the student has demonstrated. If we tie the portfolio to student goals, then the student can start making connections between classwork and what they want to do after high school. As you explore the work with portfolios, having a purpose in mind can help focus what teachers and students are collecting. What should a student know and be able to do? When you think about your students at the end of the school year, what do you hope they have learned? Your expectations can help you organize your portfolios. For example, in a typical language arts class, students should be able to demonstrate how well they can read, write, speak and listen. You may have specific expectations, based on the standards adopted by your school; you might also have expectations that make sense for your individual students. Whether you call them expectations, or standards, or competencies, your vision of what students should know and be able to do can guide your work. 2. Next, think about your assignments. What are some of the performance tasks that will allow students to demonstrate their skills? 3. Finally, link your assignments to the expectations. When the students complete the project, or essay, or report (or any other assignment) that you listed in question 2, what expectations will they demonstrate? When you think about the assignments for the portfolio, this process can guarantee that your students will have enough opportunities to meet all the competencies. For example, the language arts teacher will want to make sure that students can show their skills in reading, writing, listening and speaking sometime during the year.